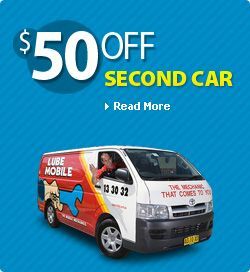 Since 1982 Lube Mobile have been “The Mobile Mechanics”, with a reputation for bringing quality car service and repair work to our customers’ driveway. That experience matters when looking for someone to service or repair your Great Wall vehicle. Our breadth and depth of technical ability and experience come from our people. Lube Mobile have the in house skills and experience gathered over 32 years to tackle any service or repair issue your Great Wall may have. We send the right person to do the job - Experience counts. Your experience with Lube Mobile counts too. That’s why we offer the most convenient way for your Great Wall vehicle to have a service or repair…… We Come To You at a time and place that's convenient – six days a week. No running around, organising lifts or catching cabs or buses to drop your car off. It can be painful getting to and from the Great Wall Service Centre whilst possibly losing your car fro the whole day. You’re too busy and your time is important. Stay where you are, do what you need to get done and we'll take care of your Great Wall service and repair. We have a huge range of online Great Wall Service Options. Go and have a browse, get a price with online special and then you will see all available arrival times live. You will be suprised how easy it is and how quick we can get out to you. And dont forget about our repairs on your Great Wall - we can also help you with these quite quickly and a good range of these repair prices online - please have a browse. Timing Belts or clutches - we can help. All of our jobs give you up front pricing before we start. The service was great! The mechanic, Geoff, was very good at his job and explained things in plain English and he is very good with me as a client. I will be dealing with you guys again. I would like to have Geoff as my mechanic! Thanks to Geoff for the great service - please pass this on to him. People need to know when they are doing a great job - your company has a hard worker who is willing to answer the client questions about my vehicle. Thanks again for the great work you did! Cheers! 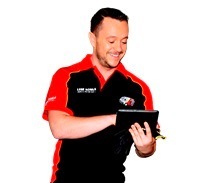 I have always found Lube Mobile's service staff excellent over the years I have been using your company!